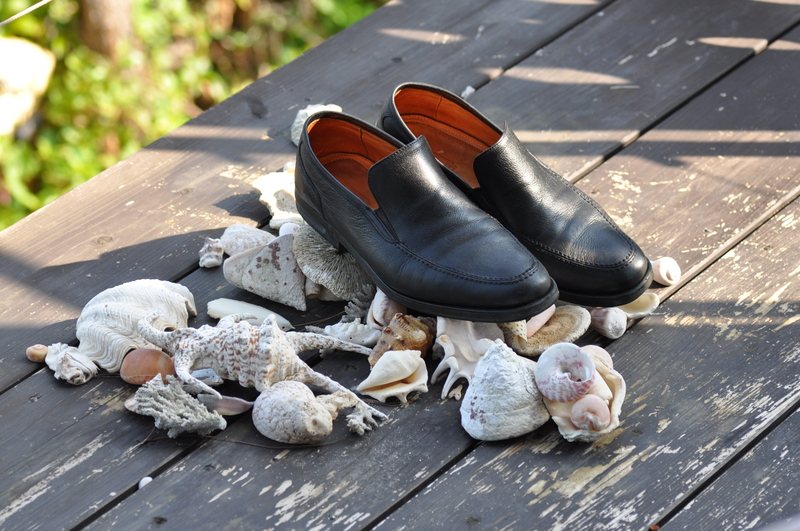 It being the first of March and a beautiful Saturday morning I think of shoes. 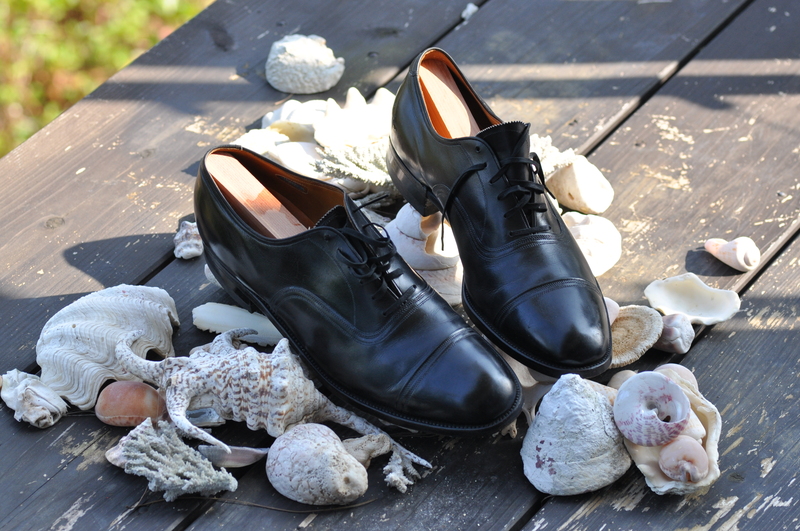 I don’t know where this comes from but I have always believed that proper shoes are lace-ups with leather soles. Slip-on shoes with grotesque names such as, pumps or loafers, were only worn by spivs and wide-boys. Spivvish, I wonder if this word has Yiddish origin? Anyway stationed out here in Japan, one has to take one’s shoes off very frequently and indeed put them back on again in a vaguely unbroken symmetry. This makes lace-up shoes tedious and worse, due to age, I find I have to sit or kneel to tie my laces. Whereas with slip-on shoes you just er slip them on. The result is a strong swing to the spiv in my footwear. My Father would not approve. During the first Protestant plantations of Ulster in 1610, it was discovered that most of the families had no shoes. The Governor sent back to Glasgow asking for a thousand pairs of brogues. Brogues through the chinese-whisper effect became rogues and the jails of the west of Scotland were emptied and the produce sent to Ulster. 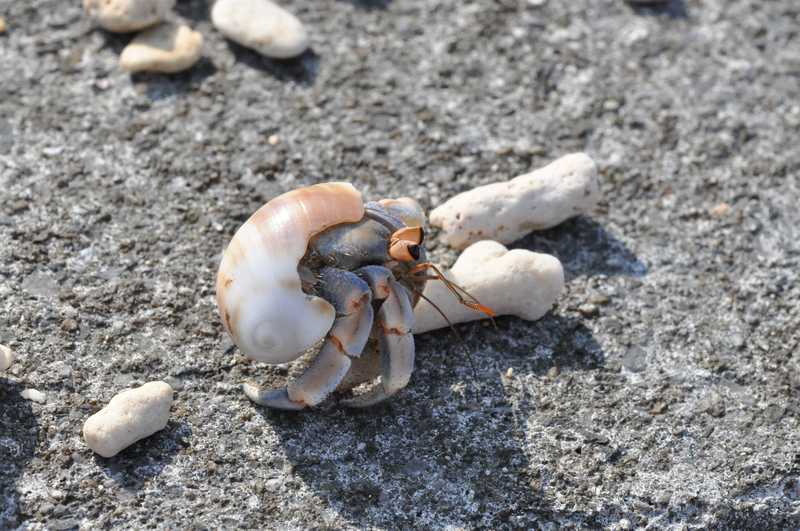 A hermit crab on my morning beach clean. 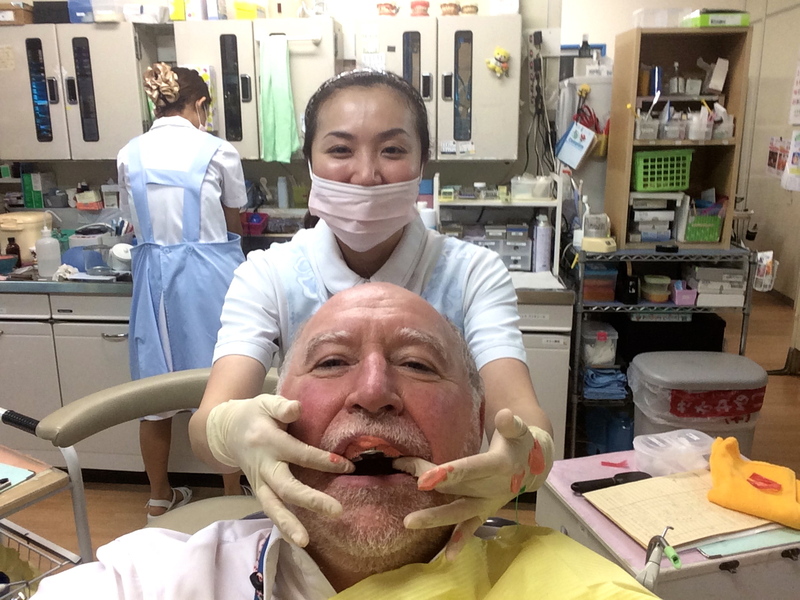 The dentist here is such fun! This entry was posted in Uncategorized and tagged Dentist, shoes, spiv, Ulster. Bookmark the permalink.